According Jang newspaper report, Pakistan Civil Aviation Authority (CAA) has earned profit every year since formation of the aviation regulatory body thirty-six years ago on December 7, 1982. Billions of rupees are earned by CAA every year. Not because it is operating effectively and efficiently. Pakistan CAA is a monopoly. That's why Pakistan CAA will never go for loss. 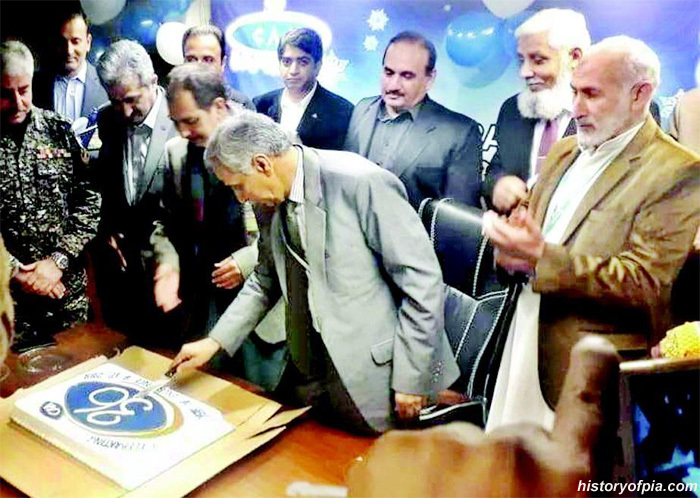 Bacha Khan International Air Port (BKIAP) - Peshawar Chief Operating Officer Obaid ur Rehman Abbasi cutting cake to celebrate thirty-six years of Pakistan CAA on December 7, 2018. Pakistan CAA is earning sixty billion rupees annually and manages around forty-two airports of the country. The question is whether CAA has succeeded in facilitating passengers when it comes to sky rocketing ticket pricing and promotion of aviation sector.